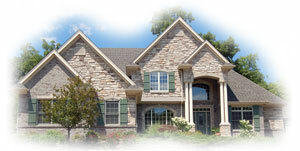 Real Estate Appraisal - home appraisal - appraiser - real estate appraiser - residential appraisals - Frank Tomecek Real Estate Services, Lebanon, Lancaster, Reading, Harrisburg, Hershey. Welcome to our web site, we hope the information is useful. Frank Tomecek Sr. started in the real estate business in 1979 with a Century 21 firm. He later transferred to Derry Realty which became a Coldwell Banker franchise. Frank was part owner of this company which was later sold. In 1984 when he first got his broker license he began appraising and now is providing appraisals for: Lebanon County, Berks County, Dauphin County, Lancaster County and parts of Schuylkill County. The following are type of appraisals that we have completed for various lenders, brokers, home owners, attornies, estates and buyers.